February 20 – Marketing success in sport is often all about being in the right place at the time. 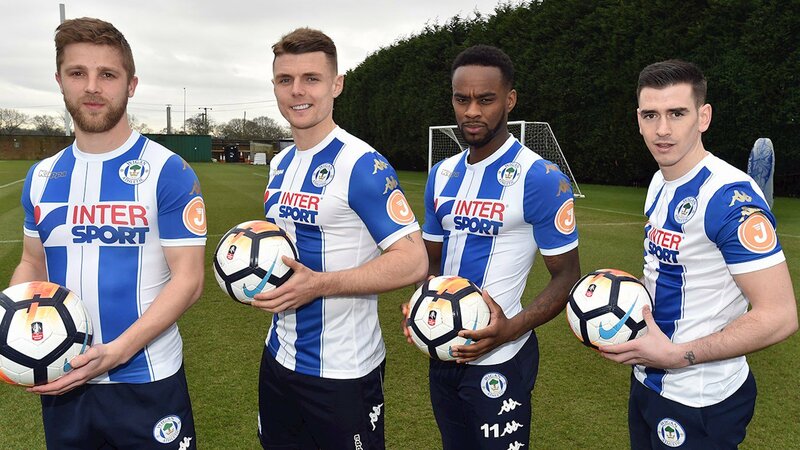 That place was on the sleeve of Wigan Athletic on Monday night for cryptocurrency firm Jetcoin as the Latics became only the third team to be Manchester City this year. Jetcoin in fact sponsored three Emirates FA Cup fifth round matches – Huddersfield vs Man Utd and Rochdale vs Tottenham Hotspur being the other two with brand presence on the LED perimeter boards. But it was the Wigan win that stole the headlines and will give Jetcoin the marketing value and a place in sporting history. Jetcoin Institute is a platform that allows buyer of a crypto token – JET – to participate in the image rights of promising talent from the pool of ‘Jetcoin Champions’ and ‘invest’ in the athlete by buying a portion of their image rights. In football terms this is very clearly third party ownership – currently outlawed by UEFA, and hence hard to see how footballers will be able to participate. The theory is that as the talent matures in their career, the value of their image rights increases thereby adding value to the investors who backed the talent in the first place. They are welcomed to the club but they will not so welcomed to the club’s talent if rules are football rules are followed.